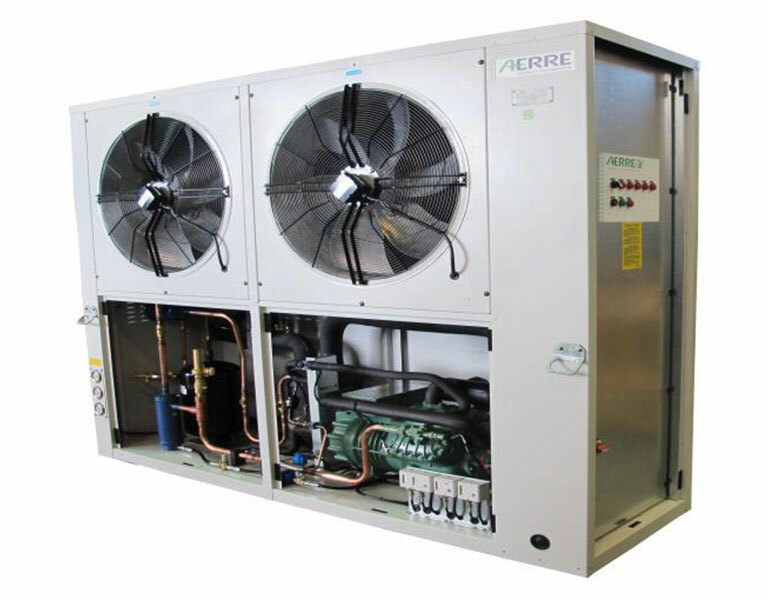 The GMC series includes air condensing units for outdoor installation. 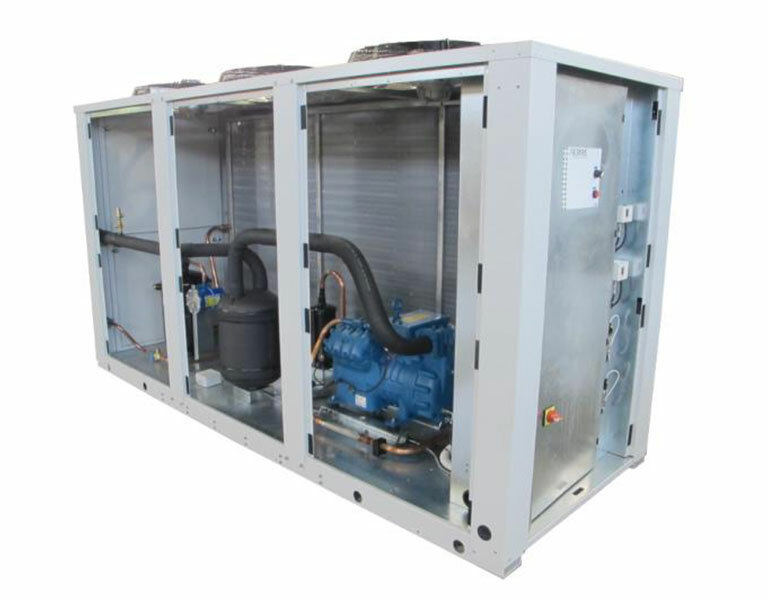 The units are realized with a strong self-supporting steel frame, welded with pressbent metal sheet profiles, and then completed with removable panels; all components of the steel frame are epoxy powder coated, color RAL 7035. 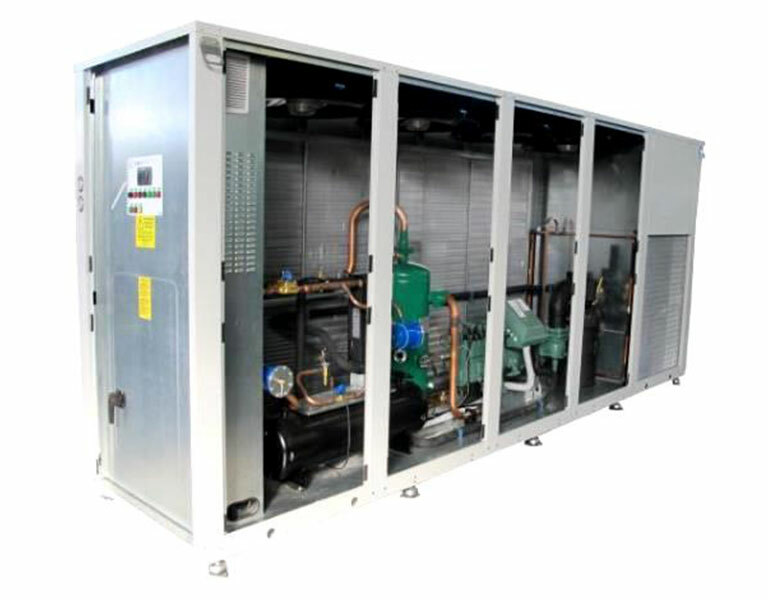 The condensing units can be equipped with reciprocating semi-hermetic compressors or screw compressors, and available in low noise version.